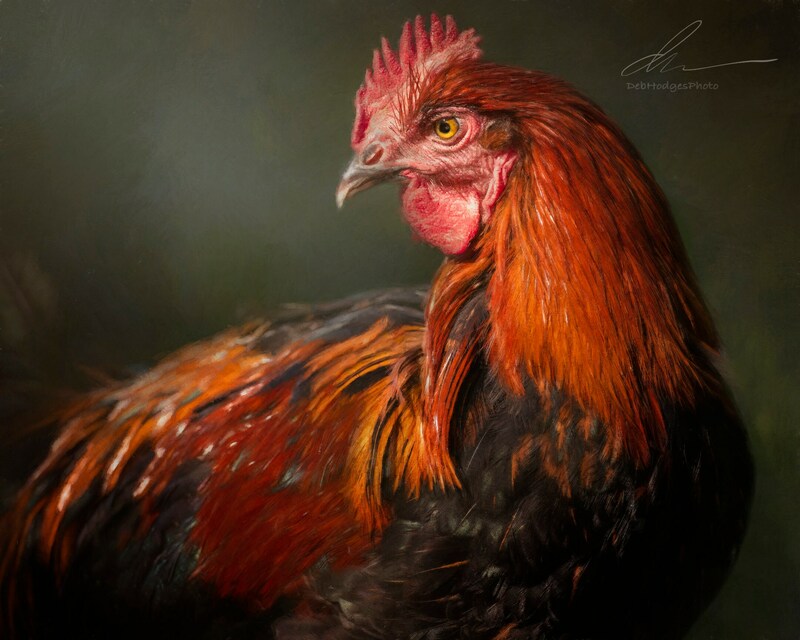 Composite photograph of a handsome rooster hunting as the sunsets on the farm. Two images were used to create this image and combined using three separate photo editing programs. My intent was to take you down to eye level and allow you to feel not only his beauty, but the intensity of his gaze and the texture of his feathers. This is printed on archival fine art paper and ready to frame. The print itself is 8x10 inches. Perfect for that empty spot on your wall.